This is a collection of five easy to make, easy to fly, really cool-looking, foam gliders. 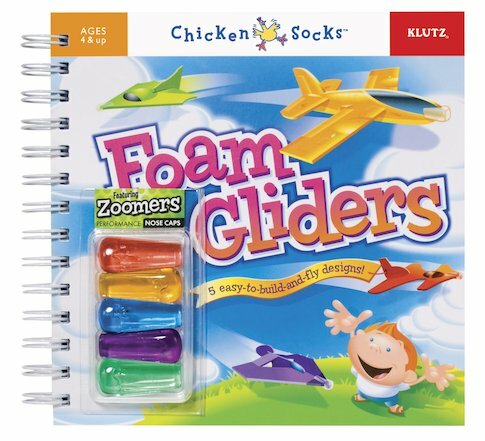 It contains press-out foam glider pieces with simple instructions on how to put them together. A special feature is the zoomers, a nose cap that gives the gliders a smooth flight and takes the brunt of the inevitable collisions and crashes. It also includes a page of punch out, co-ordinating stands and a sheet of stickers for decorating the gliders.